When you picture boxing, do you have a vision of Rocky floating through your mind? Boxing is no longer the sport where Rocky took on Jersey Joe. It is not about getting into the ring and fighting for a title, it has become much more than that. It is also a physical activity for adults to stay fit. There are no punches so there isn’t the risk of head trauma. 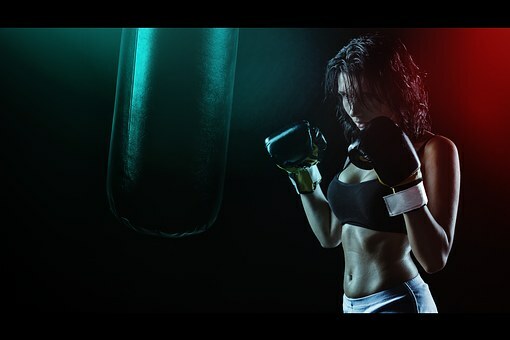 There are ample health benefits that come with boxing for adults in Dubai. Boxing constantly requires you to change posture and position. It is unlike traditional boxing where you can get fit without a partner to throw punches at. The only partner you need is your personal trainer. There are two types of boxing choreography. First you can do it in a boxing class where you follow the leader. The moves are choreographed to music similar to an aerobics class. The second type is training individually, hitting a punch bag and also involving stretching and strength training. If you look at the strengths of boxing classes for adults, you are constantly swinging your arms, moving your arms and shoulder muscles and increasing the strength in your upper body. You also strengthen the muscles in your back and legs. It is a great aerobic routine. Boxing is similar in many aspects, where it gets your heart pumping, lowers heart disease, high blood pressure, diabetes and stroke. It also helps improve your mood, gives you more energy, burns calories and strengthens your bones. In addition, boxing will improve your hand-eye coordination. When you are training to hit a target it makes you more attentive and alert. This is known to improve certain brain functions. Another great benefit of boxing is it gives you better balance. Every time you change your position you challenge the balance. This makes you better at reactionary balance. This is a good physical trait to have in real life as it will help you protect yourself more successfully. With countless benefits it is no surprise millions of people opt for boxing as their physical activity or make it a part of a regular exercise routine. If the core goal is to get fit and healthy, this is one of the best and most effective ways to achieve your health and fitness goals.